London has climbed one place to fifth in the International Congress and Convention Association's (ICCA) latest world city rankings, as Berlin takes the top spot from Paris. London has finally achieved its pre-Olympics target of breaking into the top five on its third attempt, after ending up sixth last year. This is the first time the city has secured a top-five position, and comes after a 27% increase in the number of delegates attending conferences in the capital over the last year. More than 117,000 delegates arrived in 2015, making the city number two for attendance. ICCA’s annual statistics, which detail the most popular destinations for association meetings, also saw Berlin take the top spot from Paris, which had held it for two years running. This year, Paris took second place ahead of Barcelona, Vienna and London. 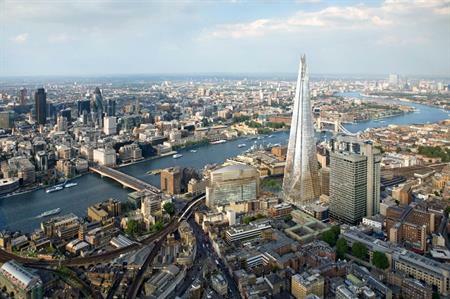 London’s rise in the rankings has been credited to the culmination of a multi-faceted strategy established by London’s Convention Bureau, which aimed to see London in the top five within five years. The city transformed its CVB from a venue-finding service to an event solution provider, allowing it to develop closer relationships with partners and stakeholders to present solid joint bids to targeted high-profile events. Tracy Halliwell, MBE, director of business tourism and major events at London & Partners, said: "Today’s figures are a great Olympics legacy and confirmation of what we’ve known for years – that London is rightly one of the world’s most attractive destinations for event organisers. We have an unrivalled mix of venues, connectivity and infrastructure with more exciting developments in the pipeline including new hotels and the completion of the new Crossrail in 2019."